I expected this item to be a tight fit, due to it being a "sweat wicking" fit, so I ordered a size larger, but it was still even up a size rather snug. Just something to bare in mind. Very good for keeping you cool during exercise. Got this for my boyfriend. It suits him, it's good quality and he wears it a lot. These vests are great, very comfortable and wash really well. Love this vest, perfect for showing off those gains!!!! Spot on sizing too. Really well fitting string vest, highly recommend. I love this top. I got it in a size Medium (40 inch chest) and it's very tight, but that's the style I wanted it anyway. The top is very comfortable and stylish. The material is breathable, so it's great to work out in. Overall I'm very happy with it. I bought 3 of these vests along with the original stringer vests, all in medium size, i have a 41" chest and 32" waist. 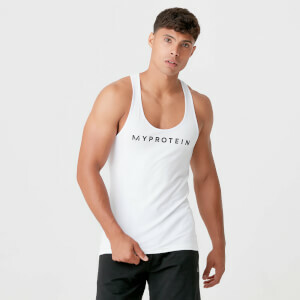 The original stringer vest fitted perfectly, nice tight fit, this one is slack around the chest to the point where there is a fold of material in the middle of neck line at the front. 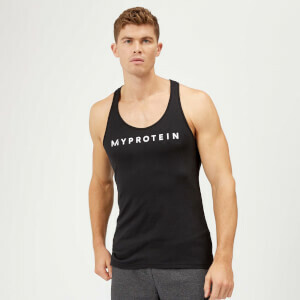 Nice material, you dont have an enormous MYPROTEIN stamp on your chest, a good vest aside from it not fitting well around my pecs. It's comfortable, looks good. Everything you could want for a work out vest.